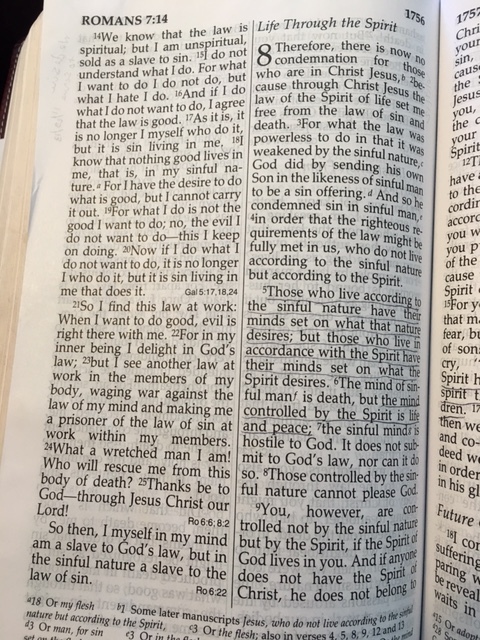 With God’s help, we are memorizing Romans 8. 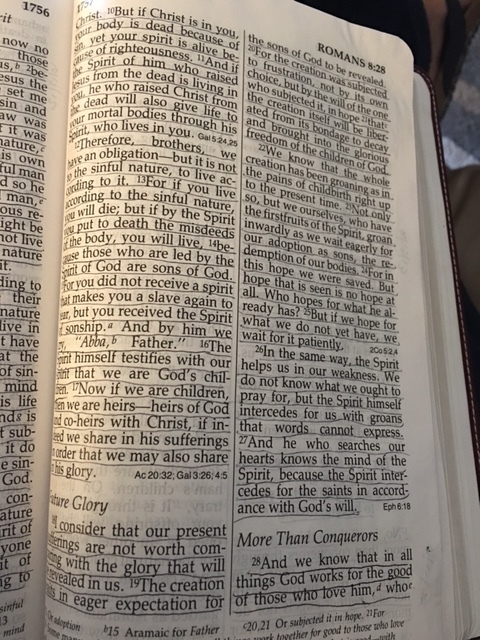 This is a tough chapter – it’s definitely one verse at a time. But it’s happening! Our bodies will die because of our sin. When we accept Jesus as our Savior, he makes us right with God and his Spirit brings eternal life to our spirit.